We not only strive to provide the absolute best equipment recycling practices in our industry, Spectrum Ecycle’s commitment to community is strong. We believe a community that bands together and works together is stronger, kinder, and more productive, leading to greater achievements and joy. So how do we help make our community a better place? By deliberately seeking local non-profits that are well respected, socially responsible, and serve the community through social services and employment services, we endeavor to make a difference. With our help (and yours) these incredible non-profits can employ the community, donate equipment, and create opportunities for individuals that they may not otherwise have. Our non-profit partners include some of the best local charitable organizations such as Habitat for Humanity, Saint Patrick Center, Salvation Army, and Caritas Connections. Our owner, Dave Candelario, sits on the Board for Project, Inc., and we use Valley Industries’ sheltered workshop for recycling work. Habitat For Humanity – bringing people together to build homes, communities, and hope. Saint Patrick Center – provides opportunities for self-sufficiency and dignity to individuals and families who are homeless or at risk of becoming homeless. Salvation Army – in the St. Louis region for 128 years; serving the community 24 hours a day, 7 days a week, 365 days a year through emergency disaster services and other programs designed to help people attain, or regain, self-sufficiency. Project, Inc. – providing job training and employment for adults with developmental disabilities since 1965. 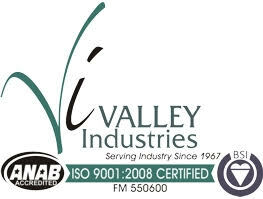 Valley Industries – sheltered workshop employing over 200 adults with developmental disabilities for flexible contract packaging, assembly, kitting, and distribution. Since 2011, our mission has become two-fold: to encourage responsible, secure commercial and residential electronics and technologies recycling, and to give back to the community in which we live and work.